Firm: Trow & Rahal, P.C. Cynthia is a Shareholder, Vice President, and Legal Team Manager at Trow & Rahal. She has practiced immigration and nationality law since 1996. She specializes in immigration for businesses, athletes, performing artists (individuals and groups), as well as family related matters. In the role of Vice President, Cynthia works with Trow & Rahal’s management to further the firm’s mission. As Legal Team Manager, she is responsible for overseeing the training, mentoring, and guidance of the firm’s legal support staff and attorneys. She leads both the legal staff and attorney meetings to ensure that our team is informed and trained in all relevant government procedures and changes in the law. She also develops internal processes to improve the firm’s procedures and increase efficiency. Cynthia has authored a number of articles on family immigration matters and served as a panelist at the D.C. Bar Association seminar "What You Never Learned in Law School: The Mechanics of Running a Law Practice". As a member of the Women’s Bar Association (WBA), Cynthia is an editor of Raising the Bar, the monthly newsletter published by the WBA. As a long-time member of the American Immigration Lawyers Association (AILA), Cynthia has served as a speaker at AILA National Conferences, and she volunteers for the AILA Military Assistance Program. She is also an active member of the D.C. Chapter of the International Network of Boutique Law Firms (INBLF). 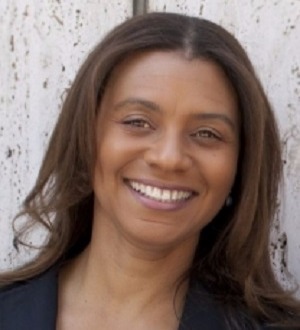 Cynthia’s reputation within the legal community has led to the repeated selection by her peers for inclusion in prestigious publications including The Best Lawyers in America, the International Who’s Who of Business Lawyers (Corporate Immigration) and most recently Who’s Who Legal Corporate Immigration: 2015. Cynthia received her J.D. degree from Howard University School of Law and a Bachelor of Psychology degree from Yale University. She is a member of the District of Columbia and New York State Bar Associations.